Concussions are common* in wakeboarding, helmet use is not among most of the victims. Neck fractures are also fairly common in wakeboarding, again without helmets, but that is another subject. They are doing face plants at speed and getting concussed by simply hitting water, without a helmet. If you do a high speed face plant while kiting, slam in a high speed for a height, do a high speed rotating entry into the water, you could get concussed as well. I have come close myself years back after bad high speed kiting jump landings from height (seeing explosion of stars, disorientation, head pain, etc. ), just from hitting water. Some symptoms of concussion are listed below. How many on here have experienced some of these symptoms from impact with water while kiting particularly after bad trick or jump landings? 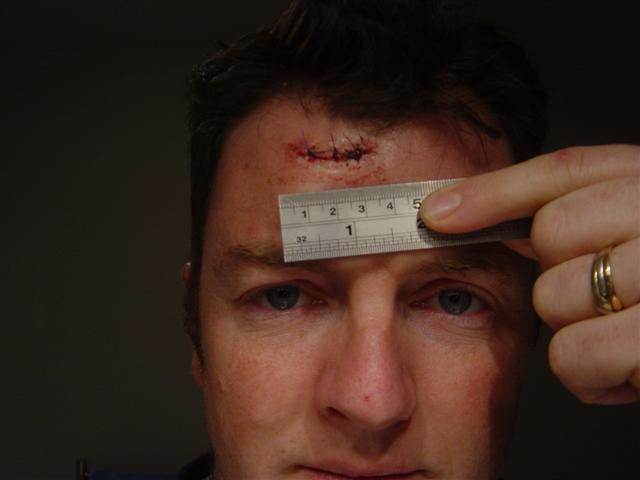 A kiting lofting/impact with a helmet which was flattened and split in the process. A kite impacts after a lofting into water and is knocked unconscious for about a 3000 ft. dragging. "Characteristics of water skiing-related and wakeboarding-related injuries treated in emergency departments in the United States, 2001-2003" This article considers helmet use to try to reduce the frequency of traumatic brain injury in wakeboarding. An early lofting in which the kiter's life was saved through the use of a helmet. Despite which there was still amnesia, change in speech, brain hemorrhage. How common are head impacts against hard objects in kiting? In 16 years I've had quite a few myself both minor and major ones. Helmets don't guarantee lack of injury or even survival in accidents but they can help, if you are wearing a good well fitted and secured one for the demands of kiting. 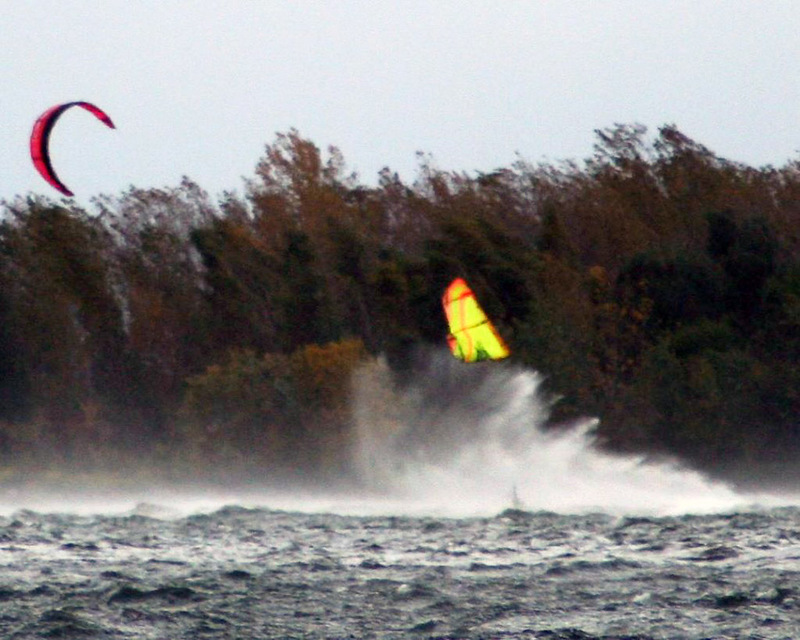 A fatal impact involving an experienced kiter in 11 to 12 kts. of wind. 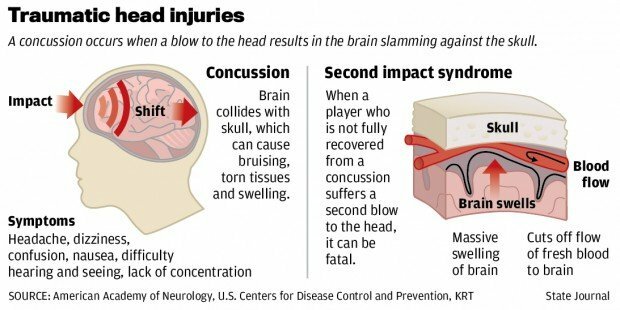 One of the things a helmet does to reduce traumatic brain injury is to increase the time by fractions of a second it takes for the brain to decelerate before slamming into your skull. It does this through the crushing of the foam. The brain impact force is related to the acceleration/deceleration. Helmets may actually reduce the severity of concussion on high speed water impact as a result. I haven't seen much in the way of data involving helmets and water impacts. It is obvious that lots of wakeboarders are getting concussed without any helmet being present. Kiting involves a higher risk of head impacts against a variety of objects from our collective experience. With concussion symptoms ranging from dizziness (commonly experienced) to coma (far less common) there are gradings or degrees of concussion with varied treatment and followup precautions. There are quite a few different grading systems out there and I understand there is no universal scale that is widely accepted as of yet. They are usually comprised of three or more grades of severity based on duration of confusion, loss of consciousness and duration among other symptoms. Given fatalities among athletes they usually talk about time to return to play to try to avoid Secondary Impact Syndrome or SIS. Your brain is damaged and then you damage the impacted area again prior to full healing resulting in serious disability or death. We need to avoid SIS in short by properly healing concussions first before going out and collecting another one. This can mean staying away from kiting for an extended period after a more serious concussion. More about all of this at: http://www.aans.org/Patient%20Informati ... ssion.aspx When in doubt or if you lose consciousness or have other concerning symptoms seek qualified medical assistance immediately. We've been talking about helmets on the main forum. This post fits right in.